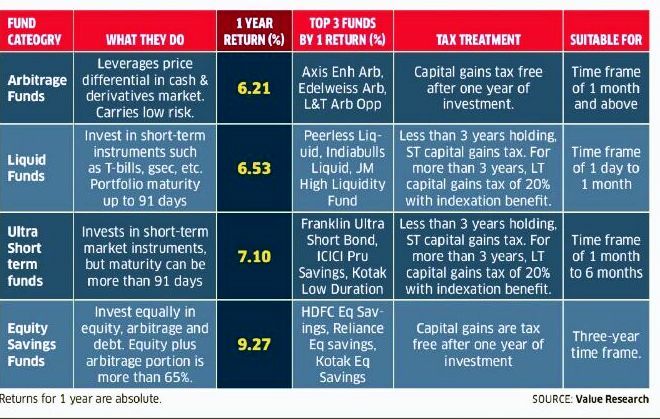 Home > September 2017 > Safety Mutual Funds are for You..! Stretched valuations with no earnings recovery have led to a sharp correction in stock markets over the past six days, with the Nifty losing close to 400 points. Amidst geopolitical tensions and fast-depreciating rupee, several mutual fund investors are not sure whether they should invest now or wait for the markets to stabilise. In such a situation, wealth managers advise investors to put their money in a mix of arbitrage, liquid ultra short-term funds, which are low-risk products and enjoy easy liquidity. Investors could earn anything between 6% and 7% in such products. “This also gives them the option to switch and average their equity-oriented funds as and when valuations get reasonable,“ says Rupesh Bhansali, head (distribution), GEPL Capital. Those with some risk appetite could look at investing a lumpsum amount in equity savings funds, which invest only a small portion of 20 to 40% in equities, with a 3 year time frame.